We’re thrilled to be able to bring you this interview with Caroline Stills, the author of Mice Mischief, among other wonderful books. I started taking myself seriously as a writer after my first baby was born, when I became a ‘stay-at-home mum’ (mum = Australian for mom). I thought I would have lots of time to write while my baby slept, ha-ha. Despite the exhaustion and the all-encompassing role of being a new mother, I did put pen to paper, slowly at first, and have been in love with writing ever since. My first baby is now a teenager, and my youngest child is in primary (elementary) school, so I have a bit more time to write these days. If you weren’t a writer, what would your job be? My most important job is being a mum to my daughters. Writing is like a precious treasure, something I do just for me (and my readers). These are the two best jobs in the world for me and I really can’t imagine doing anything else! How long did it take from finishing your first book to when it was actually published? I wrote my first picture-book story Magic Mummy in 2005, it was accepted by a publisher in 2006, and finally became a book in 2009. Patience is a very useful trait to have as a writer. Did you get many rejections? I was actually extremely fortunate that the first story for children that I wrote was accepted for publication by one of the first publishers I sent it to. I’ve had plenty of rejection since then though. I’ve had some really lovely rejections (where publishers give encouraging feedback) and also one or two really painful ones. Unfortunately rejection is a part of every writer’s life, it comes with the job. Do you find it hard to stop revising? Or do you have a definite ending point? I’m a planner when it comes to writing; I like to know where my story is going. Once I finish my first draft, I will edit and rewrite, creating another draft or two. Then I give the manuscript to some trusted writer friends for feedback. Once I read their critique and suggestions, I will work on another draft. After that, it’s time to send the story to a publisher, as any further drafts at that stage might mean the loss of the story ‘spark’. When a publisher accepts a manuscript, they will want more editing and rewriting, and I’m happy to do as many drafts as needed at that stage, to make the story the best it can be. For you, what is the hardest part of writing a book? Life always seems to be busy so, for me, the hardest part of writing is finding the time to devote to my writing. But because I love it so much, I make sure to find this time. What made you decide to write for children, and how is it different from writing for adults? I initially started writing to create fiction for adults. Having my own children inspired me to try writing for children, and that’s when I found my passion. Some people mistakenly think that writing for children is easier than writing for adults, but it’s not. For example, when writing a picture book, every single word matters. Because there are so few words, each one has to contribute to the story, has to have the right meaning and sound (rhythm etc), and are individually considered with great care and thought. And I believe that some of the most innovative and interesting contemporary writing has been for teens/YA. Did you know it is statistically twice as hard to have a picture book accepted for publication than it is for an adult novel? Do you have any input into the illustrations for your books, or do you only see them once they’re completed by the illustrator? It is always exciting to see how the illustrator has interpreted my text and what artwork they have created. I have never been disappointed. I am happy to leave the illustrations to the experts – the illustrators themselves and the publisher. Saying that, I have been lucky enough, on occasion, to have a sneak-peek at illustrations at the conceptual/‘sketching’ stage. Do you prefer to write about animal characters (like in The House of Twelve Bunnies) or human characters (like in The ABC of Pirates)? For the most part, I don’t consciously write a character as an animal. However, animals as characters do work particularly well in picture books, as they are nationality-neutral – children from all over the world can appreciate a cute little mouse or rabbit and take that character’s story to their hearts. The House of 12 Bunnies was actually The House of 99 Children in the original draft of the manuscript. It was a story that my daughter wrote when she was eight, which I worked on with her (expanding and tightening her wonderful idea) before offering it to my publisher. Through the editing process, the manuscript then became The House of 12 Children, and illustrator Judith Rossell chose to illustrate the children as adorable rabbits. It then became a natural decision to change the title to The House of 12 Bunnies to reflect the fabulous artwork. What advice would you give young writers? Read. Write what you like to read. Read some more. Enjoy the process. Write because you love to write – not because you think you will make money from writing, as not many writers do. Lots of things. My children. Things I see or hear. The news. There is inspiration all around us. What was the most exciting thing that happened to you as a child? I grew up in New Zealand but had extended family in Australia, so occasionally my family would travel from one country to the other on a plane. Back in those days, the pilots would let children visit the cockpit if you asked nicely. I remember sitting up the front of a plane, next to the pilots, being amazed by all the gadgets and technology surrounding me while soaring above the clouds. Funny thing is, I hate flying now. Who is your favorite author or book (children’s or adult)? That is such a difficult question to answer when there are so many great books and authors. When I was very young, I devoured any book I could get hold of, and they included lots of Enid Blyton books. As I became an older child and into my teenage years, I particularly loved the books of John Wyndham: The Chrysalids and The Day of the Triffids and others. I was fascinated about stories set in the near future, what life would be like if something unexpected happened (eg. What if a spectacular display in the night sky – a meteor shower – caused everyone who watched it to go blind? Many of you will recognize this as the start of The Day of the Triffids). Over the last few years, a couple of books (adults only) that stick in my mind due to their incredible prose and emotional stories are The Road by Cormac McCarthy, and We Need to Talk About Kevin by Lionel Shriver. Can you give us any hints about any new books you might have coming out soon? My latest release (2014) is Mice Mischief: Math Facts in Action illustrated by Judith Rossell and published in the US by Holiday House. This book was first published in Australia, New Zealand and the UK as 10 Little Circus Mice by Little Hare Books. I’m hoping one day, in the not too distant future, to add a novel to my list of publications (which have so far all been picture books). Thank you so much to Caroline Stills! To find out more about her and her other wonderful books, check out her website. We’re so excited to bring you a short interview with Terry Border, the author and illustrator of the book Peanut Butter and Cupcake, and creator of myriad fabulous artworks. Do you have any favorite scenes that you created for the book? It was fun making the unicycle. A challenge too. I have to say that I really like the tree I made for French Fries to sit underneath though. I consider myself more a visual artist than I writer. I’m still struggling with trying to put words together. If I had to give advice though, it would be to write about what really interests you. Do you have any subjects that you’re dying to write about, but haven’t yet? I’m sure I will, but I don’t know what they are yet! For some reason, from the time I was a little kid “parasol” was a word that gave me a magic feeling in my brain. I have NO idea why, and I find that very weird. I’m inspired by other people doing what they love. Good music also inspires me quite a bit. Other people’s artwork is awesome to look at. I always remember my first day of kindergarten. I loved kindergarten soooo much. Snacks and a naptime, how can you not love that? Mark Twain was a genius. He wrote with such ease, and yet every page has a line that other writers can only dream of writing. What authors or artists influenced you when you were first starting out? I’ve always been a fan of Alexander Calder, and his mobiles and wire sculpture. If you look up him playing with his circus on Youtube, you can see his genius and maybe where I was influenced. What are your hobbies when you’re not making art? I like watching movies with my family. I’m a big Marx Brothers and WC Fields fan. Can you give us any hints about any new books for children that you might have coming out soon? Next year I have a children’s book coming out about a cupcake planning her own birthday party. I think there are a lot of laughs in it. Thanks so much to Terry Border for taking the time to answer our questions. We can’t wait to see next year’s book about the cupcake! In the meantime, check out this video of Alexander Calder’s Circus! 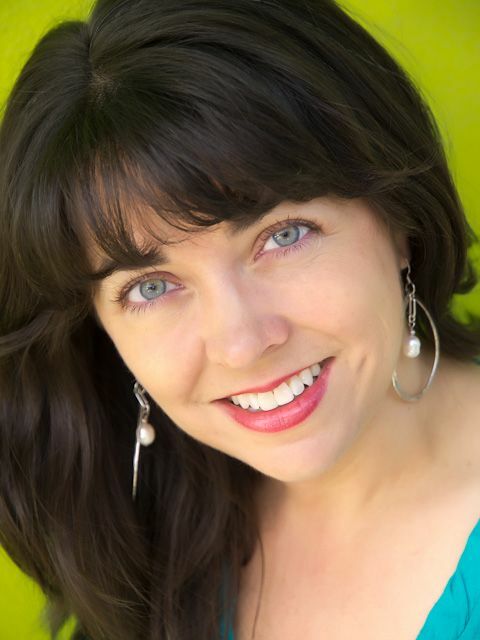 We’re thrilled to bring you an interview with Nikki Loftin, author of The Sinister Sweetness of Splendid Academy, and other forthcoming books. I’m sure you’ll be just as excited as we were to read her answers to our questions. Yes, since I was nine. Before then I wanted to be a vet, but I discovered I was afraid of blood. So… writing. I’m not at all scared of fictional blood! My first published poem appeared in the local newspaper when I was nine or ten. I was hooked on writing for publication – even if I did give it up for a long while when my kids were very young. I finished the first draft in June 2010. It appeared on the shelves in August 2012. It felt like forever to wait! Some, but not as many as a lot of my friends talk about. I already had my agent, so I wasn’t querying from scratch. My agent sent it to a few editors – and it landed very quickly on the desk of an amazing person who I adore working with at Razorbill. I find it hard to START revising! Seriously, I love drafting a new book – and I detest revising, even though that’s where the magic really happens. I have a formula for revisions. First, I send it to between 3 and 6 writing critique partners. (Revise revise revise. )Then, my agent gives me notes. (More revisions, lots of chocolate.) Sometimes I have to revise again during the process of submitting to editors. Of course, once an editor chooses your manuscript, there are months more of revisions ahead! I thought I was going to write books for adults – but the stories that came to my mind were all middle-grade level, mostly fantasies and humor. So I decided to go with the muse and try my hand at kid lit. It’s working out very well! Do you think the character of Molly, in your book, really is a wicked stepmother, or does she have some good in her? I’m going to plead the fifth on this one. If I ever end up writing a sequel, an answer to this question probably would spoil the next book! How much input, if any, did you have into the art in the book? A little bit! The artists sent me a few different versions of the playground illustration to choose from. I let my son help – he loved getting to pick! Did your children read the book? If so, what did they think of it? My kids had it read to them by me, more than once! They loved it, even if a few parts were a bit scary for my youngest (who was seven at the time). They’re both my number one fans and supporters, and I feel super lucky to have them for my first readers. Read as much as you can, in as many different genres as you can. What you read now will play a huge in part in what you write later. You may be the Next World’s Best Mystery Writer – but if you only read non-fiction or romance, you may never discover your hidden talents. Any new books that will be coming out soon? I have a new book called Nightingale’s Nest coming out in early 2014. I love this book – it’s full of magic and mystery, and darkness, too. I’ll have another book out a year or so later (to be decided!). I play with new ideas all the time, mostly re-imagined fairy tales, but any topic that combines scariness with magic and a bit of humor is what I love to write. Murmuration. My LEAST favorite is moist. Ick. My kids, other people’s books, long walks, music, memories, letters from my readers… everything, it seems like. I am still in love with the world, like I was when I was a kid – and it gives me so much to choose from. Ooh, hard one. I’m not going to list living ones, since I have a LOT of friends who are writers! LOL I adored the Pippi Longstocking books, by Astrid Lindgren. And I have a soft spot in my heart for Dante. Is that weird? What authors influenced you when you were first starting out? The Grimm Brothers, of course! I read a lot, but in particular? I studied Robin McKinley’s fairy tale re-inventions, and read Shannon Hale pretty closely, too. I play with my kids or my dogs! I also love to do Zumba (aerobic dance plus world rhythms), in-line skating or bike riding, reading (of course! ), and baking. In fact, I bake whenever I’m stressed – so when I’m on deadline, my house smells amazing! Thanks so much to Nikki Loftin for taking time out of her busy writing schedule to take part in this interview. We’re all REALLY looking forward to her new books! 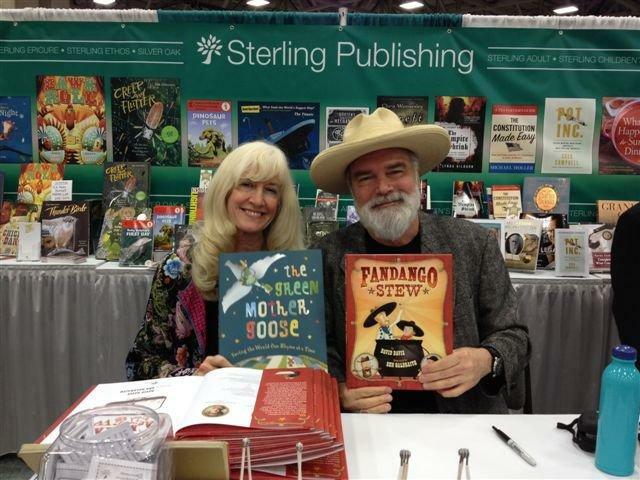 We’re so excited to bring you an interview with the authors of The Green Mother Goose, Jan Peck and David Davis. They were gracious enough to answer our questions, and we’re happy to share them with you. Have you always wanted to be a writer? When did you start writing? Jan: When I was in third grade, I wrote a story about my pet turtle, Frisky, who got lost in our house for a whole month. We found him when my mother opened her bedroom door and cracked his shell. But his shell grew back just like your fingernails or hair grow. My teacher told me I’d be a writer when I grew up, but I said, no, I really wanted to be either a ballerina or a veterinarian, but I never forgot what she told me. I’ve written books about a ballerina (The Ballerina Princess), and a true story about when I worked for a vet (“The Perfect Dog” in Chicken Soup for the Kid’s Soul..
David: I started writing when I was a kid. I first remember starting to write when I started trying to draw cartoons and comics in the second grade. After all, you have to write the words that the cartoon characters say. I used to copy the funnies in the paper to see if I could draw the characters like the cartoonists did. Sometimes I got in trouble for drawing when I should have been paying attention to arithmetic. I never really thought of it as “real writing” but that was what I was doing. If you weren’t a writer, what your job be? Jan: I might be a teacher, a nurse, or a veterinarian! I love working with children and animals. Right now I’m taking care of my 92-year-old Daddy. He went to a one-room school house and didn’t learn to read until 6th grade. He had a special teacher who took him aside and said he was too smart not to learn to read. So he learned to read and graduated with honors with a degree in electrical engineering from college, the first in his family, . He had dyslexia, which all of my family has. So just know, no matter what disabilities you might face, you can overcome them and become whatever you want. I have trouble with spelling, but I can figure it out–I especially like using the Google search engine. David: I would still like to be a serious painter. I wanted to be a political cartoonist—and eventually I did that for a while. I would have loved to be in a band and write music and lyrics. I also used to want to be one of those guys that made Hollywood monsters and special effects when I was a boy. I’ve done many things in my life before writing full time. I was a medical lab technician. I had a job at a bank running the computer department. I worked in a milk plant for a while, but I was never happy unless I was drawing or writing. Jan: I’m inspired by other great authors, such as James Marshall and Arnold Lobel. I fell in love with children’s books while reading to my young son. We read so many books that my son learned to read before he was three. I wanted to be part of this wonderful world of children’s books. I thought it would be easy, but it was three years before I sold my first short story to Highlights for Children magazine. My son is now 32, and he and his wife are expecting a son in May. I can hardly wait to read to my first grandson! David: Reading good writing, and biographies of authors. All kinds of music. I listen to music while I’m drawing, but I can’t write while listening to music. I love good comedy. I’ve loved Laurel and Hardy since I was a little boy, and my prize possession is a complete collection of their movies on dvd. Jan: The most exciting thing for me as a child was growing up in the country with a whole menagerie of wild animals. I had a crow, blue jays, turtles, doves, a possum, a squirrel, a mole, a praying mantis, and many dogs and cats. I use these experiences many times in my writings. David: My stepdad took me out to the airport to see all the stars of the John Wayne version of The Alamo arrive in San Antonio where I grew up. I saw all of them and John Wayne, himself, waving and smiling at everyone. I got tickets to the premiere showing of the movie at the Woodlawn Theater for my birthday. A friend and I got to go. I can still recall my dad wondering if they should pay the outlandish ticket fee. “Three dollars and fifty cents—a piece!” he complained out loud, but he bought them anyway. Kids, remember this was in 1960, and that was outrageous for a movie ticket then! How long did it take from starting to write to having the book published? Did you get many rejections? Jan: I wrote for magazines for a long time and learned a lot about putting together a story. When I wrote my first trade book that got published, I received eight rejections. That is not very many, but I’d had a lot before that. I started writing in 1983 when my son was three and had my first book published in 1995 when he was fifteen–that’s twelve years! I had a lot of magazine and small book successes that kept me going, plus I worked as a free-lance editor at Boy’s Life magazine and became an advisor with my local chapter of The Society of Children’s Book Writers and Illustrators. David: Actually, I sold the very first manuscript I sent in. It took two years from the time they bought it to the time it came out in print. I thought, “This is going to be EASY!” Then reality hit. I got plenty of rejections after that lucky break. It took longer to get the next books. I still get rejections. By the way, in some cases, it takes FOUR YEARS from the time a book is accepted for the book to appear in print. Do you find it hard to stop editing/revising, or do you have a definite ending point? Jan: It is hard to know when to stop cutting and changing and revising a story. I have a critique group that helps me be more objective, but I’m the final judge of when it is ready to send. When I think I can’t do anymore to make it better, I send it in. If it is accepted–then the REAL work begins! Good editors know how to make your book move far beyond what you first envisioned. Maybe that is why they call it revision! David: Someone once said that you never finish a book—you just abandon it. That is how I feel. No matter how much I work on a manuscript I can always spot things I could have done better when the book comes out. A book can be really well received and my mind dwells on that one line I could have phrased differently. A writer is always searching for perfection, but you have to do the best you can in the time you have. A good editor can help you decide when you are done. Jan: Getting those first words on the page has to be the hardest part. It seems like you are writing in the dark, but you have to have faith and keep the editor/teacher off your shoulder and write what you really think and feel. I do a lot of what I call Freewriting, just writing as fast as I can to fill the page. I don’t worry about spelling, grammar, or anything. You can always go back and fix those things. Sometimes I write ideas that I didn’t know I was thinking. I’ve been doing this since I started writing many years ago. You have to be willing to write badly, so that you can learn to write well. I think of my published material like an iceberg. You can see the published material at the top but under the water is a huge mass of unpublished writings! David: The hardest part for me is when you get to the point in a story where you are not cutting the bad parts anymore—you are cutting good things. Many times you have to cut some really good stuff at the end because of length constraints. When you get to that point, you know you are almost done. Jan: Do a lot of Freewriting! Learn to pick a time to write and get used to writing every day. You’ll learn so much. Also read books and study how your favorite authors wrote their stories. See if you can do as well using your own ideas. We stand on the shoulders of those who come before us. I believe anyone that you truly admire, you can learn to do as well, and many times write even better. David: 1. Write every day for at least five minutes. Train your brain. Once you are used to writing it comes easier. 2. Get a small spiral notebook and write down your ideas for stories when you get them. Trust old Mr. Davis. You WILL forget them if they are not written down. 3. Save what you write. Even if you think a story isn’t very good, you might use parts of it later. 4. Count the number of words in the story you have written and then cut ten percent of them. In other words if there are a hundred words in your story see if you can cut ten of them. Cutting whatever you write like this makes you have to get rid of words you don’t need and helps the whole become stronger. Are you working on a new book right now? Jan: Like David, I’m ALWAYS working on a new book! While I am taking care of my dad, I thought of a little fish in the big ocean who felt so alone. I saw the cover of the book in a dream. I’m checking out some books on ocean animals right now from my local library to get to work on this. David: I’m ALWAYS working on a new book! Right now I am toying with a novel for grownups called Wisdom Hill. (A special question from Fran) Any plans for a sequel to The Green Mother Goose? Some sensitivity training (towards humans and other animals) may be in order for the likes of Georgie Porgie, Goosey, Goosey Gander, the Farmer’s Wife, the King of Hearts, Robin-A-Bobbin, the Bird Scarer, Polly Flinders mother, the little man who had the little gun, and others. I’m confident your creative team could soften up this hard old world one clever rhyme at a time). Jan: Fran, thank you for your fantastic ideas! Wow! I think you’ve got some great ones, which YOU ought to write. Sounds like your brain has been working on this for some time. Just put your fingers on the keys and see what you do! Use the Freewriting technique I use. David: Hmmm. That would be telling…hahaha. Jan: I have a science fiction young adult that David and I are going to write together. It is so different from what I usually write. I’m a little scared but very excited too. David: Yes. As a matter of fact Wisdom Hill is such a project. What made you decide to write books for children, instead of adults? Jan: I fell in love with children’s book while reading to my little son. I was amazed at all the depth and wonder in children’s books in so few words that could be read in just ten minutes. I still am in awe of children’s books. David: It really wasn’t a cut and dried decision at first. It was just that the way my mind works and the way I write seemed to lend itself to the genre. Also, I grew up loving picture books. What authors or illustrators influenced you when you were starting out (or still do today)? Jan: The George and Martha books by James Marshall; and Frog and Toad and Mouse Tales by Arnold Lobel, were big influences on me. I used to take my son to the library in his stroller, take him out, and fill the stroller with books. I did that every week. So many writers and illustrators influenced me and still do. David: I love OLD books. When I was a small boy Mom had a copy of a book she had been given when she was a little girl. It was The Aesop for Children with pictures by Milo Winter, that was published in 1919. I loved the old fashioned illustrations and the stories with a moral. My love for this book was a direct influence many years later when I decided to pen Texas Aesop’s Fables. By the way, the book has been reprinted by Barnes and Noble and a copy is very inexpensive. Mom’s book has about fallen apart and I bought her a reprint some years ago for Christmas. It is a beautiful book for children and adults alike. And of course I have to mention Dr. Seuss. I’ll never forget the day the teacher showed me a copy of one of his books and explained that he drew the pictures to go with what he’d written. A light went on in my head. Wow! Someday could I write stories and maybe even draw like Dr. Seuss? It was a lot of years before I did it, but I never forgot that day. Who is your favorite author or book? Jan: I will always love Alice in Wonderland, Heidi, and a little known book called When Grandma was a Little Girl, all of which my mother read to me when I was a little girl. The Tale of Peter Rabbit is one of my all time favorites. When Peter nearly gets caught by the farmer, I can remember being very scared for him. Jan: I love pizza but also love vegetables, so I put vegetables all over my pizza, including broccoli! LOL! David: I used to really like Mexican Food, but I had to change my ways. Now, I eat lots of broiled fish and salad. What are your hobbies when you aren’t writing? Jan: I love to garden, play with my poodle, Spirit, read books and listen to music–all kinds of music from rock and roll to classical. David: I like to draw, listen to old rock and roll music, and play around with Photoshop, creating and restoring old family photos. I enjoy watching classic movies. I also read a lot. (I read for a while in bed before I turn out the lights at night.) By the way, I have never met an author that wasn’t a reader too. Thank you so much to Jan Peck and David Davis! I know we’re all looking forward to whatever new books they might write, and I’m sure you all are, too. 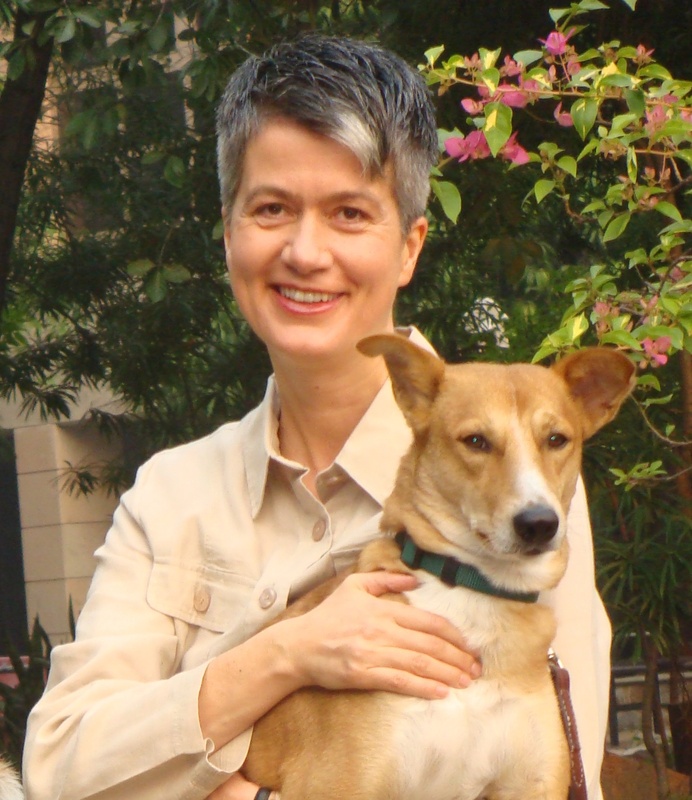 We’re thrilled to be able to bring you an interview with Monika Schröder, the author of Saraswati’s Way. Even though she’s in the process of moving from one country to another (!!) she was kind enough to answer our questions. No, I never imagined I would be a writer and only started to write fiction shortly before my 40th birthday. I used to think that I’d like to be a veterinarian but I can’t stand the sight of blood. If I hadn’t become a librarian and author I might have made a good lawyer. It took me about 14 months to write Saraswati’s Way. I was very fortunate that Frances Foster, who has her own imprint at the publisher Farrar Straus Giroux, accepted the manuscript right away. I usually know when a draft is ready to be sent. My husband, a high-school English teacher and always my first reader, also edits my drafts and gives me advice when to stop. I don’t like the first draft. There is always this wonderful idea of a story in my mind and as soon as I start writing it changes into what is actually on the page. And that never seems to measure up to the perfect novel that I had in my mind. I also cannot stop my “inner editor” from talking to me about what is not good and what will never work. So the first draft is laborious. I like it much better once I have a draft that can be revised. How do you get plot ideas? Are you inspired by incidents from your friends’ lives? From your own childhood? Ideas are everywhere. In other books, in stories I read or hear, in movies I watch and also in my own experiences. Your description of life in the railroad station is so vivid. How did you do your research? I went several times to visit the train station and also took the guided tour offered by a non-governmental organization working with street kids, called Salaambaalak Trust. Their guides are former street kids themselves and I went on several tours with them, listening to their stories and experiencing the setting. Akash is a wonderful character, open, engaging and self-directed. Is he based on a real person or did you imagine him? He is not based on one real person. He shares his fate of running away and ending up at the train station with many kids, some of whom I met, others I read about. His interest in math is modeled after myself. I used to be a math geek and I still juggle numbers in my mind. And I am also very adamant and impatient, so these traits Akash also has from me. What brought you to India? What keeps you there? I have always been fascinated by India. My husband and I worked in international schools in other countries but I had always hoped that one day we would find jobs in India. In 2003 this wish came true when we were hired at the American Embassy School in New Delhi. Parts of Akash’s story, his experience with Lal Singh, the tape recording operator on the train, having to wade through garbage looking for plastic, and his ordeal with the drug dealer are very “gritty.” Do you think that the average young American or European reader will be able to relate to or even understand those episodes? Well, I know that this will be a very different setting and experience for American readers, but I hope that my descriptions are authentic enough for any reader to relate. Would a country boy like Akash have ordinarily learned Vedic math in his village school? Is it taught as a part of a more traditional curriculum as opposed to the more modern, “tech savvy” subjects of a big city school? The vedic math is probably not taught in an Indian village school. But Akash’s tutor might have shown it to him. I used to teach grade four in American schools overseas and complemented my lessons on multiplication with some of the vedic math rules. In your book, you incorporate many Hindi words and phrases as well as information and stories about the many Hindu deities. India has a very complex culture, yet you seem to integrate it seamlessly into the story. Did you find it difficult writing it in a way that would be easily understood by “western” readers? In an earlier draft I had many more Indian words. Then I realized that this was influenced by the Hindi-English spoken around me and I weeded out most of the words. It is always difficult to weave in information without sounding didactic or boring the reader with too much exposition. It took a while to get it right. Do you have any subjects that you’ve always wanted to write about, but haven’t? I would like to write a book set in pre-revolutionary Russia about a female student who becomes involved in the terrorist movement of the time. I also have an idea for a book set in German-South-West Africa about the German officer who discovered the mountain gorillas. I haven’t had time yet to write these other books that are in my head. But soon I will be a full-time writer with, hopefully, more time to complete these novels. Read, read, read. I have learned most of what I know about writing from reading and looking at how other authors structure and tell their stories. Young writers should read as much of the genre they are writing themselves as possible. Are you working on any books for the future? We’d love to hear about them (if it’s not impolite to ask). My next novel is called MY BROTHER’S SHADOW and will come out in September of this year. The book is set in Berlin 1918. Moritz, the 16-year-old main character, experiences the end of Imperial Germany and a socialist revolution. His brother, who returns from the war maimed and bitter, is frustrated with the outcome of the war and soon turns to right-wing extremism. Moritz, who is falling in love with a Jewish girl, has to choose sides. You can watch a trailer for the book here: http://www.youtube.com/watch?v=yl5IVFd2Wb0. Currently, I am working on a book set in the 1830s. The story starts in Massachusetts but the main character ends up in Calcutta, India. I love how Avi depicts historical settings and have read most of his work. I also admire Jennifer Holm for her talent to create historical fiction characters with distinct voices. I love to read, obviously. But I also like to bake and take our dog for long walks. My husband and I adopted an Indian street dog, we call Frank. Frank is very amusing and takes up a lot of our attention. That is a difficult question for a writer. I like when I discover new words. For my current word-in-progress I bought a first edition of Webster’s Dictionary, which was published in 1828. I love looking up words and learning how they were used at that time. I know that I am not answering your question but I am afraid that I cannot name ONE favorite word. I am a vegetarian and love Indian food. It is easy to be a vegetarian in India. I thought it was always very exciting to visit my grandmother who lived in East Germany. We had to cross a border patrol when we entered socialist East Germany. My grandmother’s farm, about an hour north of Berlin, was very rustic. She even had an outhouse. Visiting East Germany was like going back in time, as many streets and houses still had bullet holes from WWII battles and there were no flashy advertisements because of the socialist economy. My grandmother also kept her money in a cookie jar and when we came she handed us lots of East-Marks, the currency used in East-Germany, but there was not much to buy. I bought a collection of nicely bound editions of Marxist philosophers and I also kept a journal to write down the slogans posted on billboards, such as “Advance with the Freedom-Loving Soviet Union.” My father grew up in East Germany, and I wrote my first novel, THE DOG IN THE WOOD, based on his memories of the Red Army entering his village in the spring of 1945. Thanks again to Monika Schröder! We’re thrilled to hear about her new books and can’t wait to read them (and we wish her good luck on her move!). 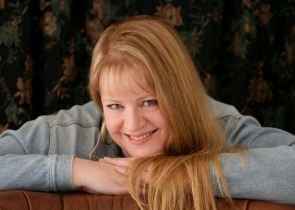 For more information about Ms. Schröder and her books, check out her website. We’re so excited to be able to share this interview with George Shannon, the author of Tippy Toe Chick Go, Busy in the Garden, and other wonderful books. I didn’t really thank about being a writer until the 7th grade. But I did always want to be a pretender with an audience–a singer, dancer, puppeteer etc. One can look at writing as a combination of all of those. I enjoy showing elementary students how I have several true answers for this question. I had my first story accepted for publication when I was 27 (1979). But, of course, I had been writing and submitting stories for many years. I made my first formal submission to a publisher when I was 16. My favorite definition of a writer is “someone who writes when he doesn’t have to.” The first time I began writing stories and poems on paper that were not homework I was 12 in the 7th grade. I then tell students I was making up stories when I was 3 years old. They scoff! But you were, too, I explain. As toddlers we naturally make us stories as we play. We just don’t worry about writing them down on paper. If I wasn’t a writer and could have any job I would want to be a GOOD stage actor. On a more realistic or practical note, I would most enjoy a job that let me work with younger children. The answer to this question can vary a great deal. In the early 1980s when I was doing my first books the time span between contract and publication was usually 16 months. These days it can be several years between contract and the publisher selecting an illustrator. Even then it take be a few more years before that illustrator has time to do the illustrations. These days five or six years between contract and publication is not uncommon. I regularly get rejections. One reason might be quality of the manuscript. It certainly was in my early days. Now rejections are more a matter of taste and timing. Each editor has his/her likes and dislikes. Each publisher has subjects or genres they choose as their focus. An editor can even love a manuscript, but if that company already has a recent book with the same subject they won’t want to do another one so soon. I have had stories rejected by one editor and later published by a different editor at a different company. I do not like writing the first draft because it can get so scary. In my imagination each new story idea is wonderful! I love it, and feel sure it will take the world by storm. But as soon as I begin to write it down my worries start to nag. What if I can’t make it has great as I think it can be? What if nobody else likes it? What if I’ve forgotten how to write? Or I get stuck? Etc. Etc. Etc. But once I’ve gotten the first draft done things get to be fun. Now all I have to do is relax, play around, and make it slightly better with each revision. Getting better and better at doing something or making something is always engaging and exciting. What made you decide to write for children, rather than adults or teens? I have always focused on writing picture books. Like most teenagers who dream of writing, I wrote sad poems and short stories about how cruel the world could be. But the first story I submitted when I was 16 was a picture book. I love the brevity and compact storytelling. And even though I’m not an illustrator, I love all the different styles and approaches used in different picture books. Read and write and write and write some more. Writer some more and read and read. Don’t worry about making the perfect book. Have fun as you write the story. Then have fun writing another story. I cannot control who will like my story or even if it will get published so why waste my time worrying about it. But I can control how I approach working on a story, and I want to spend that time enjoying myself. Most people write because they love words and stories AND love making stories or poems. Looking at my books that have been published is pleasant. But it’s like looking at photographs from an old vacation. Been there, done that. Working on a new book is like being on a great new vacation. It is happening! It’s where the adventure is. It is now! We use Tippy-Toe Chick, Go and Rabbit’s Gift at storytime regularly because they work so well. When you’re writing your picture books, do you consciously think of read-alouds or oral storytelling? Or are you just concentrating on telling the story, no matter how it comes out? White is for Blueberry is such a unique book—it’s not the sort of idea that would occur to everyone. Where do you get your ideas? I spent a great deal of my childhood always trying to find THE right answer and please everyone. When I grew up and discovered that most questions have many possible correct answers I began to celebrate. I’m still celebrating, and WHITE IS FOR BLUEBERRY is part of that celebration. In one way or another, many if not most of my books share the celebration. TIPPY-TOE CHICK GO celebrates a fresh approach to answering the problem of the dog. TRUE LIES celebrates the value of looking at words from more than more angle or context. CLIMBING KANSAS MOUNTAINS celebrates seeing something fresh in one’s daily world. Your poetry books are doubly wonderful not just because of the imagery, but because of the cleverness and wordplay. Have you always written poetry? What inspires you to write a poem as opposed to a book? As a teenager I wrote some rather dark, sad poems because I thought poems had to be sad to be important. Some people still thank that’s true. Ha! I prefer the perspective that poems come in all shapes, sizes and moods. I love wordplay and humor so those elements dominate my poems. I suspect I’ve also been influenced by my years of sharing rhymes and finger-plays with preschool children. I love sharing them with an echo pattern. I say a line. Then the children say it back to me. Sound and rhythm! Do you have any subjects that you’re dying to write about, but haven’t yet? Any new books that will be coming out soon? I have some themes that I’d like to explore as stories, but they still feel too far away to discuss. I am in the lucky position of having four new picture books in production: WHO PUT THE COOKIES IN THE COOKIE JAR which will be illustrated by Julie Paschkis, HANDS SAY LOVE, TURKEY TOT, and THE WITCHES’ DOUBLE SPELLING BEE. I don’t yet know when they will actually be published. Meanwhile, I’m having fun working on new projects. This answer continues to evolve, but there are some authors that always bring me pleasure: Arthur Marshall (adult humorist). M.B. Goffstein (picture books), and Arnold Lobel (Early Readers). My three favorite picture books as a child were (still are): RABBIT AND HIS FRIENDS by Richard Scarry (1953), THE BUNNY BOOK by Patsy Scarry. Illus. by Richard Scary (1955) and THE UNHAPPY HIPPOPOTAMUS by Nancy Moore. Illus. by Edward Leight (1957). Do you have a favorite illustrator? (Not necessarily for your own books, just in general). I would have loved to have been illustrated or still be illustrated by Jean Charlot, Marc Simont, Crocket Johnson, and Helen Oxebbury. Oh, and Feodor Rojankovsky has been one of my very favorites since childhood. I suppose my biggest influences were the picture book authors most satisfying to read to groups of children when I was a librarian in the 1970s. I used to be a big gardener, but that is fading a bit. The last few years I’ve been taking acting and improv classes and love it! I also go through spells of drawing and sketching a lot. Thanks again to George Shannon! If you’d like more information about him, his books, and his other work, please check out his website or his blog. We’re thrilled to have had the opportunity to interview Barry Deutch, the author of Hereville: How Mirka Got Her Sword, a wonderful book that just won the Sydney Taylor Award. Have you always wanted to be a cartoonist? When I was a kid, I wanted to be a vet for years and years. That plan went away as soon as I took high school biology. When did you start cartooning? I think I first stated drawing comics sometime in junior high school. If you weren’t a cartoonist, what would your job be? I think I’d be a political writer, or maybe a lawyer. I really enjoy getting into arguments. Well, I had a contract for the book before it was finished. I turned in the final art for “Hereville” in March, I think, and it was published November 1st. Yes, I did! A lot of companies turned down “Hereville.” But there were also several companies who were interested in it, happily. Plotting the book is very hard for me. That’s the closest I ever come to making something out of nothing. Once the book is plotted out, at least everything else is building on that. But I just gave you that answer because that’s where I am on my current book — I just finished plotting it, and I’m about to start writing and laying out pages. Once I’m well into doing the layouts, probably I’d say that’s the hardest part. Then, when I’m doing the drawings, that’s the hardest part. What made you decide to write a graphic novel for children, rather than adults or teens? What advice would you give young cartoonists? Draw comics! Work really hard. Being paid for your work takes luck, but you can put yourself in a position where getting lucky is a lot more likely. Where do you get your ideas? From real life? Or from things you read? From both! I need real life to make things “feel” right to me, but I need reading to make more kinds of experiences and people available for me to draw on. Where did you get your idea for Mirka, and for Hereville itself? It’s such a wonderfully realized world that I thought for certain you must be from a small Orthodox town yourself. I wasn’t raised Orthodox. And to tell you the truth, I have no idea where my ideas come from. But so many people have asked me, I’ve acted like an archeologist, digging through my past to find the seeds of Mirka. In the past, I’ve left a couple of fairy-tale projects unfinished: A version of Rapunzel in which Prince Charming had a tough, Mirka-like sister, and an idea for a St George versus the dragon story, except with a Jewish protagonist who wouldn’t have been legally allowed to have a sword to fight the dragon with. And about 15 years ago I read the book Holy Days by Liz Harris, which contained a lot of really compelling stories of daily Hasidic life. I think all of those things went into creating Mirka and Hereville. Of course, that’s not enough. Once I got started on Hereville, I had to do a lot of research. The book that was the most valuable to me was probably Mystics, Mavericks and Merrymakers by Stephanie Levine, but there were many other useful books as well. I love the character of the pig-what made you choose a pig and not some other animal? In retrospect, it’s silly how long I spent trying to decide on the right animal to be in the Witch’s yard. Wolf? Huge housecat? Giant ferret? But then I thought of pig, and obviously a pig was the perfect antagonist, just because a pig is the iconic “non-kosher” animal that Jews avoid eating. And once I had that, the pig’s grumpy, over-the-top personality fell into place. Do you have any subjects that you’re dying to write about, but haven’t yet? Any non-Hereville books that you have percolating away in your head? I have a few non-Hereville ideas. But Hereville is also a very broad canvas — after all, hundreds of people live in the town of Hereville. So I think I could happily do many, many more Hereville books, and be able to fit in a huge range of stories and characters. I’d be really eager to do a story with a positive, fat character as the protagonist. I was really disappointed when the TV show “Huge” was canceled. Doomsday Book by Connie Willis is my favorite prose novel; Guns, Germs and Steel is my favorite non-fiction. I’d have a very hard time picking just one (or just ten) favorite graphic novels, but at the moment I’m halfway through the second Castle Waiting book, by Linda Medley, and enjoying it immensely. What cartoonists influenced you when you were first starting out? Dave Sim is probably the largest influence on my work, even though politically he’s as far away from me as Cleveland is from Venus. Scott McCloud was also very influential, and has also been very kind to me personally. Jennifer Manley Lee is a good friend of mine who has influenced my work a lot, both with her webcomic Dicebox and with good advice. My friend Rachel Swirsky, the science fiction writer, has also had a lot of influence on my work. And Will Eisner was a big influence, both directly — I took a cartooning class from him — and through his work. Do you have a favorite illustrator or graphic novel illustrator? I have a hundred! In addition to the influences I just mentioned, I love Bill Watterson’s drawing (Calvin and Hobbes), Walt Kelly, and for more current cartoonists, Faith Erin Hicks, Kazu Kibuishi, Eleanor Davis, and… well, I could go on all day. What are your hobbies when you’re not writing or drawing? I have a blog which I don’t have nearly enough time for anymore! I’m a political junkie, and I constantly read about politics. I used to do role-playing games, but I don’t have anything going at the moment, unfortunately. Can you give us a hint about what’s next for Mirka? Or at least tell us when the next book is projected to be out? The next book will be out in fall of 2012, if all goes as planned. The story involves one of Mirka’s older sisters getting engaged. I can’t wait to draw it! Thanks again to Barry Deutch! We can’t wait to read that new Hereville book–or, frankly, anything else he writes! For more information on Mirka and her world, visit the Hereville website. And, if any of you are interested in the books Barry mentioned, we do have nearly all of them at the library.